Alfred passed away Sunday, January 13, 2019 at his residence at the age of 90 years. Alfred was born in Detroit, Michigan on May 12, 1928 to the late William and Erna (Brandt) Reiche. He was confirmed in 1941 at Trinity Ev. Lutheran Church. As a young man he worked at his step fathers grocery store as a clerk. He later joined the United States Navy and proudly served until he was honorably discharged as a fireman 1st class. Alfred married his wife Winifred in 1968 and she passed away in 2016. 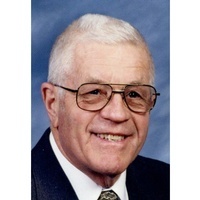 He worked for many years for Earl Smith Distributing and retired in 1986. Alfred was currently a member of St. Luke’s United Methodist Church in Essexville since 2002. Alfred is survived by his children, Carl (Barbara) Reiche, Dennis (Debra) Reiche, Karen Friend and Judith (Howie) Knauf; several grand and great grandchildren; sister, Vera LaMarsh. In addition to his parents and wife, he was also preceded in death by his step daughters, Sherry in 1970 and Cindy in 2004.